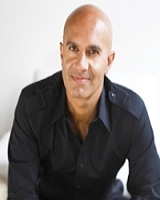 Robin Sharma 18 March 1965 Canadian, Mauritian Shiv Sharma Shashi Sharma Public Speaker, Lawyer, Entrepreneur, Author Canadian author, leadership expert, a former Litigation lawyer and inspiring speaker. He is the author of 15 global best sellers, including 'The Monk Who Sold His Ferrari' and 'The Leader who had no title'. His books have sold more than 15 million copies. A list of popular robin sharma quotes are given below.